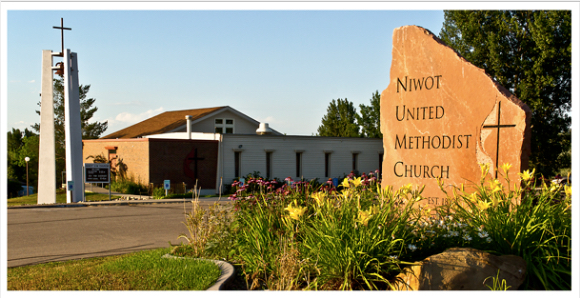 Niwot United Methodist Church is a faith community that is committed to intergenerational community, believing that we are more vibrant and whole when we work together to grow deeper in our faith and in our commitment to making the world a better place. We are Christians because we believe in the teaching s and example of Jesus and in the inclusive and sacrificial love he offers as the Christ. Through the example of Jesus’ all-inclusive ministry, we strive to open our hearts, minds, and doors to all people without exception. If you want to be a part of a community that is striving to connect to the community and world around us in a myriad of ways both inside and outside our doors, then stop in and say hello. Grow with us as we find the ever-present connections between our faith and our community.